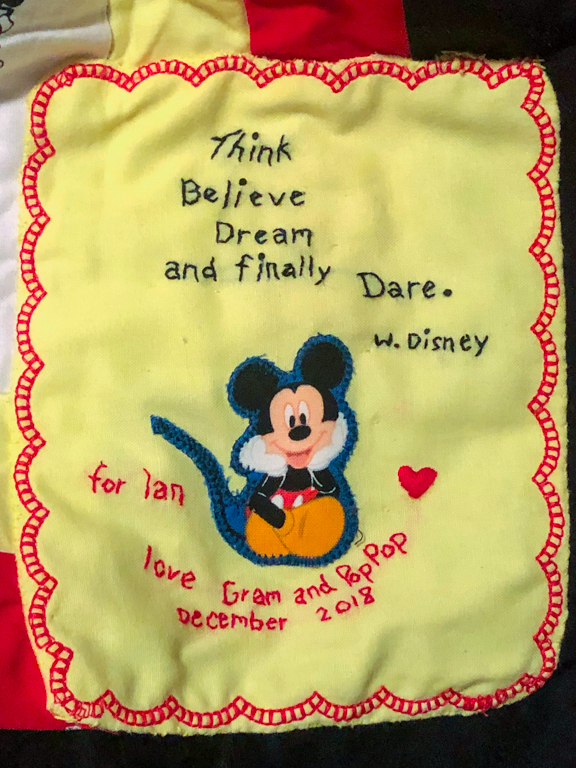 By request, here's the special messages that were sewn into Ian and Alli's Christmas quilts. I love the inspirational sayings. 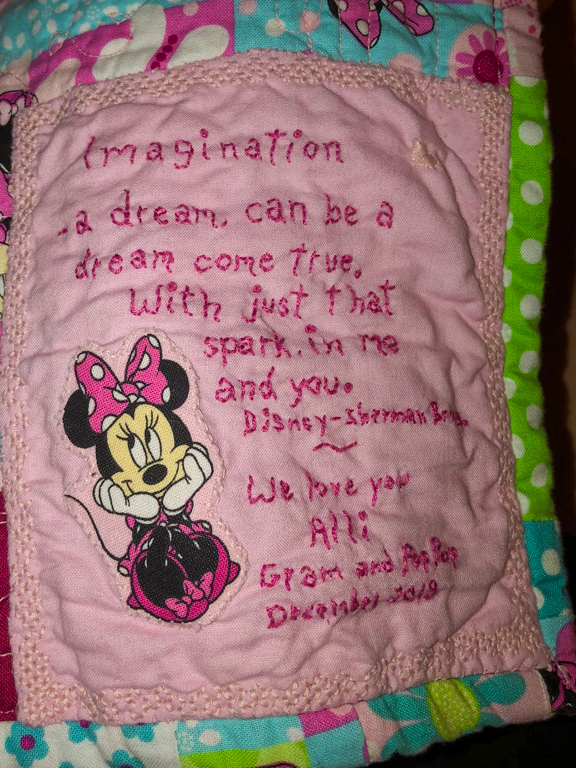 I bet we sing the Imagination song from Figment at least once a week at bedtime.